Applied Bodybuilding Research: Lycopene, Electrical Stimulation, And More! Lycopene and your colon health? Health risks of working out outside? 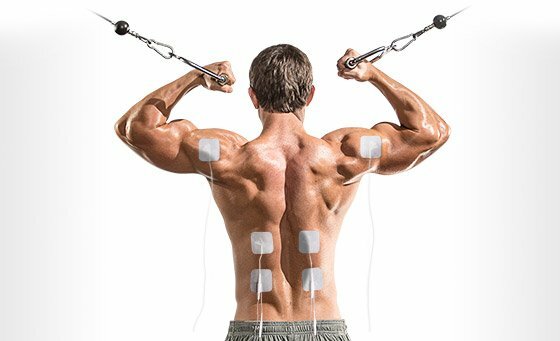 Electrical muscle stimulation? Learn more here! By now, everyone knows that eating vegetables is good for your health. And, while we&apos;ve all had this mantra drilled into us since childhood, we weren&apos;t really given a lot of specifics—no real reasons why. Not surprisingly, then, many people don&apos;t eat enough vegetables, and this is especially true for bodybuilders who, for obvious reasons, prefer high-density protein foods over "rabbit food" any day. But new research—research that&apos;s part of an overall trend that&apos;s re-investigating the most common foods—has revealed that vegetables are essential for supporting colon health. 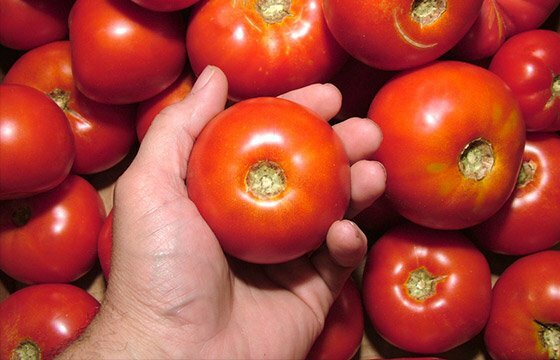 Investigators from Taiwan wanted to examine the effects of lycopene on the colon. Lycopene, a common component in tomatoes, was suggested to significantly support colon health. This is an important study for bodybuilders, because a healthy colon is essential for not only basic health but also for the proper elimination of solid waste from digested foods. Bodybuilders eat a lot of food, and do a lot of "eliminating," so the fact that lycopene supports colon health is an obvious benefit that should motivate all bodybuilders everywhere to start eating lycopene every day. Lycopene, A Common Component In Tomatoes, Was Shown To Significantly Suppress Colon Cancer Cell Reproduction Both In The Lab And In Humans. Anyone who&apos;s ever worked out at an outdoor gym on a sunny day knows just how thrilling it is—the open air, the golden sun, the gentle breeze that flows over your skin as you pound out rep after rep. Whether you&apos;re working out at Venice Beach or in your own backyard, an outdoor workout is simply awesome. But doing a hard workout outside is not without risk—and the chief risk is heat stroke. In recent years, a controversy has arisen over how best to treat heat stroke, and the traditional therapy of cold water immersion has come under fire, with critics claiming that it&apos;s not effective and is risky—possibly even fatal—because of the risk of strokes. A new study by scientists at The University of Connecticut examined the evidence surrounding cold water immersion therapy and found that the standard method of heatstroke treatment still stands as the best and safest way to treat heatstroke. In answer to the critics that cited safety concerns about immersion therapy, scientists said: "It is quite difficult, if not impossible, to kill an otherwise-healthy athlete experiencing EHS (exertional heat stroke) if rapid cooling via cold/ice water immersion is implemented within a few minutes after collapse." "If you find yourself succumbing to the effects of heatstroke, and drinking water simply isn&apos;t cutting it, quickly reduce your core temperature by going for a swim or taking a cool shower." This is an important study for bodybuilders because it shows that, while heatstroke is a risk of working both indoors and out, a really easy therapy can safely lower your core temperature quickly if you&apos;re overheating. So, if you find yourself succumbing to the effects of heatstroke, and drinking water simply isn&apos;t cutting it, quickly reduce your core temperature by going for a swim or taking a cool shower. And if you can&apos;t go for a swim or a shower, go outside and run through your sprinkler—your core temperature will quickly be reduced, and you&apos;ll be feeling better in no time. When something has been believed to be true for so long, it&apos;s often accepted as de facto—an immutable truth from which there is no escape. And so it is when it comes to anaerobic and aerobic exercise. Whereas anaerobic exercise like weight-lifting is exercise without oxygen, aerobic exercise like running is exercise with oxygen, right? Not really. A new study is challenging the standard division between anaerobic and aerobic exercise. Researchers examining theories of metabolic control noted that exercise immediately depleted phospho-creatine stores, and then oxygen uptakes in the muscles after about 15 seconds. After noting several reasons why this delay in oxygen uptake by muscle tissue doesn&apos;t make much sense according to current knowledge, researchers used new microcirculatory observation techniques to prove that oxygen is used by muscles immediately upon contraction. This study raises a lot of questions for future research, but it points out that anaerobic exercise like weightlifting isn&apos;t as "without oxygen" as once thought. It also points out that the division between anaerobic and aerobic exercise is largely academic and artificial, and that rather than being static and divided, your body is dynamic and connected, with each form of exercise using a combination of various fuels at any given time. Chances are good that if you&apos;ve ever turned on the television late at night, you&apos;ve seen the infomercial for the famous electric muscle massage machine being peddled by a "Ho" calling himself "Dr." Like the machines found in physiotherapy and chiropractic clinics across the country, these electrical stimulation machines deliver electrical stimulation to various parts of your body through wires attached to stickers that you place at various locations on your skin. The therapy is called NMES: neuromuscular electrical stimulation. But one question has always been on the minds of bodybuilders: Do these machines really work—or are they just another unproven therapy or late-night infomercial scam? A team of scientists at the University of Bruxelles in Brussels, Belgium, examined the effects of NMES on muscle fiber stimulation, motor unit recruitment, torque generation, and metabolic demand. "But one question has always been on the minds of bodybuilders: do these machines really work—or are they just another unproven therapy or late-night infomercial scam?" Researchers found that NMES does, in fact, have a profoundly beneficial effect on the metabolic demand associated with generating a muscular force, as well as improving the underlying efficiency of neuromuscular mechanisms that regulate muscle contraction. This is an important study for bodybuilders because it shows that there is a method in addition to training that can improve overall efficiency of muscular contraction and the mind-muscle connection. VANDERTHOMMEN, M. and J. DUCHATEAU. Electrical stimulation as a modality to improve performance of the neuromuscular system. Exerc. Sport Sci. Rev., Vol. 35, No. 4, pp. 180Y185, 2007. Your Perfect Body: Visualize, Then Actualize! You shouldn&apos;t be able to lift heavy weights, and yet you do it again and again. Experienced strength athletes know that the secret to making big numbers move is the mindset of the lifter, not the size of his muscles! Spend an hour with Craig Capurso as he shows you how to get the most out of 60 minutes in the gym. His Super 30 chest workout is one you and your pecs will never forget! Think you get results from working yourself to death in the gym? It&apos;s time to focus your efforts on what you do outside of it.